Ready to change the way you enjoy a successful working life? For a more detailed description on the Companies Law, please visit the States of Alderney website or contact the Alderney Court Office. As one of the leading offshore jurisdictions, Alderney prides itself on high standards of regulation. The island’s government introduced legislation to facilitate the development of eCommerce on the island and to support the electronic transactions of business, in straightforward, non-bureaucratic form thus providing an ideal framework. 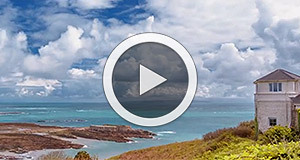 The Channel Islands are Crown Dependencies, however, not part of the United Kingdom nor part of the European Union. Alderney is a self-governing, democratic territory and one of the constitutive islands of the Bailiwick of Guernsey. Although self-governing, Alderney, along with the other Channel Islands, enjoys all the benefits of being part of the European Economic Area which allows for free movement of goods, services and people. 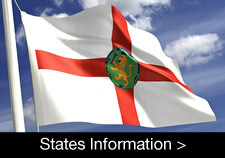 Alderney is not, however, part of the European Union and as such does not have Value Added Tax nor is it subject to EU directives. Alderney has the perfect infrastructure to give small to medium sized businesses what they need and is a natural fit with eCommerce companies and geographically portable businesses. The island’s business environment, in particular its user-friendly company law and the availability of good quality commercial properties, has been a key factor in the success of the island’s eGaming industry which is world renowned. The island’s close proximity to Guernsey and Jersey, two of the world’s leading international offshore finance centres, means there is a tremendous amount of knowledge and expertise within easy reach. At present, the most common of eCommerce businesses found on Alderney are those associated with eGaming, many of which are back-office operations. However, there are a number of other entrepreneurial businesses operating on the island. Another major strength for Alderney lies in the presence of good business support. The island has no shortage of specialist business professionals including accountants, lawyers, trust and investment specialists and bankers on hand to assist you with relocating an existing business or setting up a new one. In addition, company incorporation is not subject to unnecessary delays and set up costs are relatively low. 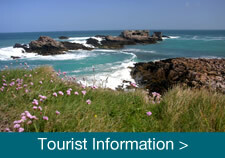 For more information on the business and services Alderney offers, please see our Business Directory. The Bailiwick of Guernsey, of which Alderney forms a part of, benefits from the development of telecommunications infrastructure and data centre facilities provided by a number of telecommunications companies.